In our reverse mortgage guide, we break down some keywords and important information and facts that you need to know about a reverse mortgage. A reverse mortgage, also known as HECM (Home Equity Conversion Mortgage) is a way for seniors’ to convert a portion of their equity into cash. This program is designed as a financial tool to help assist seniors’, 62 years & older, during their retirement years. Unlike a traditional or second mortgage, the borrowers are not obligated to make monthly payments, unless they move out of the property permanently or they no longer meet the obligations of the reverse mortgage. The bank does not own the home. With a reverse mortgage, you still retain title and ownership to the home. 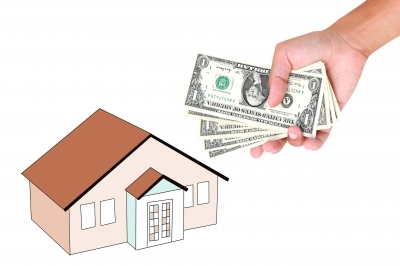 You do not have to make payments on reverse mortgage loan while still living in the home. At least one of the borrowers on title must be at least 62 years or older. There is currently no credit score or income requirement. You must attend reverse mortgage counseling. There is no regulation on how your money can be spent. Limited lump sum – You will receive a portion of the total funds in the first year. Line of credit – You can set up a line of credit where you can withdraw funds as needed, until you reach your loan limit. The unused loan balance can grow over time. Monthly payments – You can work with the lender to receive monthly payments from the reverse mortgage loan, as long as the property continues to be your primary residence. When is the reverse mortgage due? No longer living in property as permanent residence, after a period of 12-months. Not paying insurance and taxes on property. Borrower is not keeping up with maintenance of the home. The last borrower passes away. Appraisal – an estimate of a property’s current market value completed by a licensed professional. Credit line (or line-of-credit) – credit account that allows borrower to decide how much money to take out and when they could take it out. Federal Housing Association (FHA) – a United State government agency; a part of the Department of Housing and Urban Development that insures mortgage loans. Federally insured reverse mortgage – a guarantee by the federal government that if loan defaults, then payment is guaranteed on their part; also known as HECM. Home equity – current market value of the home subtracting the outstanding mortgage payment. Home equity conversion – is turning the equity in the home into cash without making monthly payments or leaving the property. Home Equity Conversion Mortgage (HECM) – a reverse mortgage program that is insured by the Federal Housing Association (FHA). Because the reverse mortgage loan is insured by the federal government, both the lender and the borrower are protected. Reverse mortgage – a home loan that allows senior citizens, over age 62, to convert a portion of the equity in their home into cash advance; repayment of loan is not due until a later time, unless borrower moves, sells the home or reaches a loan maturity event. Non-recourse mortgage/loan – borrower cannot be held liable for more than the home’s value at the time the loan is repaid. Loan maturity – when the loan becomes due and needs to be repaid. Reverse mortgage counseling – borrower must meet with a third party counselor to discuss and explain loan as required by federal government. Mortgage insurance premium – up-front charge that the borrower pays for mortgage insurance; mortgage insurance will protect borrower and lender in case of default.